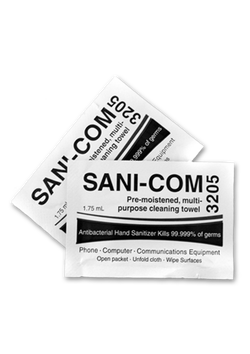 Introduced over 35 years ago, Sani-Com® was originally designed as a single use towelette for telecommunications and respiratory equipment cleaning. At the request of our customers, the product has since been tested and approved for use as a hand sanitizer. The perfect multi-purpose towelette.